At The Hemp Building Company, we strive for a level of craftsmanship that can only be achieved by using the finest materials. Our building products have been tested and certified to meet the most rigorous current building regulations. The quality of these products is a testament to the dedication and passion of generations of hemp and lime artisans. This premium hemp hurd (fibre) originates from the beautiful Hunter Valley region of New South Wales. 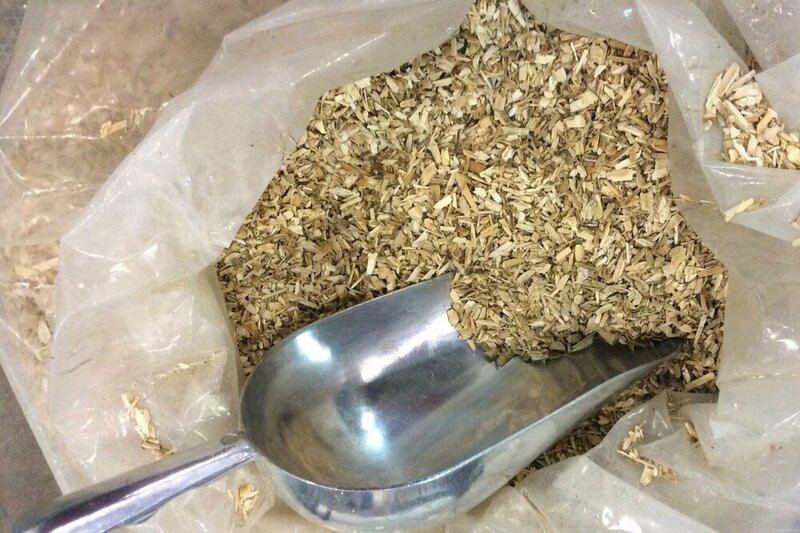 Where local hemp hurd is unavailable, we may source our hemp hurd from our overseas suppliers. This product is subject to seasonal availability. Please contact us for availability and current pricing. The Tradical range of lime binders are based on extremely pure aerial lime that has been specifically formulated for use in hempcrete construction. During the mixing of hemp hurd and lime there is competition between the two materials for water. Hemp hurd has the ability to absorb 6 times its weight in water. Lime requires the exact amount of water to set. Our Tradical PF70 binder and Tradical Thermo binder work to control the competition that occurs during the mixing of the hemp and lime without the need to add sand. Tradical PF70 is regarded as the ‘workhorse’ lime binder of the Tradical range and is suitable for a wide range of applications including hempcrete walls and interior and exterior render finishes. Drying time is approximately 45 days. Like PF70, Tradical Thermo is a pre-formulated binder based on extremely pure aerial lime. It is specifically suited to hempcrete walls, roofs and floor screeds. It can be used for new constructions or renovations, residential or commercial applications. Tradical Thermo has been improved to provide 15% better thermal resistance and a shorter drying time of 28 days. Tradical Thermo is quickly becoming one of the best selling binder for hempcrete construction in Australia. Tradical PF80 is a ready-to-use aerial lime and mineral render formulation suitable for traditional base or finish coats. Mixed with the correct ratio of sand, it can be used for internal and external applications. Tradical PF80 provides a water repellent finish with a creamy finishing texture. TRADICAL BATIR - Available in 20kg bags. Tradical Batir is a pre-formulated lime and sand render suitable for traditional render finishes and masonry. By adding the correct ratio of water, Tradical Batir is ideally suited to hempcrete walls to produce a hydrothermal render with a standard finish. Tradical Batir is suitable for both internal and external applications. TRADICAL DECOR - Available in 25kg bags. Tradical Decor is a fine grade ready-to-mix aerial lime render suitable for interior smoothing and finishing. Tradical Decor is available in a choice of 80 colours. By special order only. Please contact us for current pricing and stock available. Our custom made pan mixers have been designed to thoroughly mix the raw hempcrete ingredients and provide the optimum hempcrete composite. Our pan mixers are available for daily or weekly hire.